Hi, everyone! This is my first time stopping by the Dreamspinner’s blog. I’m Lila Leigh and I hail from Puerto Rico, but I currently live in Southern Texas. 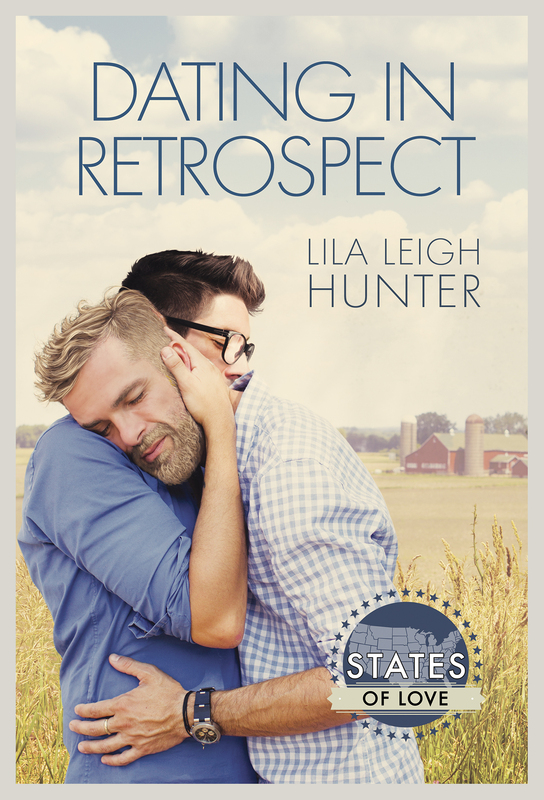 I’m here to talk about my new release, Dating in Retrospect. I’m sure you’re wondering why Iowa then? Well, the answer is simple. Love. Aww! Nah. I did marry an Iowa boy and that’s the reason writing this story felt right. I have traveled to Iowa many times over the years—having the chance to experience the different seasons and visit many of the settings I used for my story. Plus, all the ones that didn’t make the cut. The States of Love novellas are more than a simple love story, they’re the narrative of a state. They bring loves into a unique frame of mind. These stories can’t take place anywhere else but the state in which they were written for. What makes the main characters’ relationships move forward is not a blank canvas, but their connection to the soil. It’s what makes them real and gets the reader cheering for a happily ever after. I do need to accept that I didn’t include the whole state, but I tried to cover the Southeastern corner. Giving the reader the opportunity to visit the same places someone living in the area travels to on a regular basis. I started our trip at Clay’s and Aaron’s home—the place in which they fall in love for the first time, college. Providence University is a fictitious name, but there’s a University in the same area. The restaurants they visited exists, as well as, the Burlington boardwalk, and the views of the Mississippi. If you have been following my blog tour, you probably read about Riverside and their Star Trek date. Yes, Riverside is the future birth place of Captain James T. Kirk, and Clay & Arron enjoyed a day at their Trek fest. Then, a whole weekend at the Field of Dreams. Staying at a bed and breakfast and taking part of their ghost comedy show. There are several other places they visited around the state, and they do return home for some time as well. But, their connection deepened with each place they visited. Some of them they had traveled to when they were in college and others were a first for them. I think that doing more than to seeing each other once a month added to the intensity of their relationship. And, they would have a beautiful backdrop to tell their kids all about. Which, according to Aaron’s father—Drew—would be many. I don’t know about you, but I have never traveled around just for a date. Never more than forty-five minutes that is. What about you? Any long-distance relationship with a happily ever after? And to make it more interesting, your comments will be entered for a chance to win a $20 Dreamspinner Press Gift Certificate (giveaway ends 2/28 -midnight US-EST). Check out Dating in Retrospect today! Thank you for the interesting post, Lila. I had a start of long distance relationship a loving time ago, between Jakarta and Phoenix, AZ. We sent each other lots of emails and phone calls; it was a tough one and sadly didn’t work out in the end. Now I prefer to just read or watch this kind of romance on books or movies! I’ve never done long distance dating or traveled far for a date. I live pretty close to downtown and shops and lots of events are available for entertainment. I had a relationship where for the first year of it we went to separate schools – a 7 hour drive apart. We alternated visiting every weekend, talked on the phone every day and wrote lots of letters (yes – real letters via snail mail – this was 25 years ago). And, it did have a happy ending. We got married and still are. During college, I had a long distance relationship. We grew apart but I remember it fondly. @Didi – You’re welcome! I did the email & phone calls when my husband was deployed. I like reading about this kind of romance too. @H.B. – Thanks! I’d love to live close to a downtown area. It sounds like a good place to be. @Jen F. – It’s hard work but I’m glad it worked for you. I love happy endings. And I grew up in the time of snail mail too. @Jillian – I think those memories are the best. It’s always good to look back and smile. Congratulations on the new book. I’ve got it on my to buy list. @Frost – Thanks! I hope you enjoy it. I’ve never had a long distance relationship. When I graduated college I was seeing someone casually and we were heading to different grad schools and we decided not to do the long distance thing. Sometimes I wonder what might have been but it was the probably right choice. Thanks for the post! sounds like an very interesting book. I added it to my tbb list. I personally never had a long distance relationship, but who knows what the future brings. I like this collection because you get to see different places through the characters’s eyes. And I’ve never had a date where I had to make a trip longer than 15-minute walk, LOL. My husband and I were in a long distance relationship for almost 3 years. We will travel to see each other. At the time, he was all the way in Puerto Rico and I was in New Mexico. The only long-distance relationships I’ve been in have been friendships – and they’ve lasted longer than some RL relationships (non-romantic). Some are still on-going friendships. I knew my husband slightly as we belonged to the same sports club. Not until we attended the same tournament 2,5 hours from our hometown that we started to notice each other in earnest. We had that click. 18 months later we were married. Now 33 years ago. Started “dating” the boy next door when I was 14 and we’ll be married 43 years this coming April. So, I’ve never traveled very far for a date. He however, traveled from Atlanta (where he was in school) to Ohio twice to take me to school dances my senior year in high school. Thanks for sharing about the dates the MCs had in your post. I’ve never had a successful long-distance relationship. I’ve also had pretty bad luck with LTRs as a whole. Dating is just not really my thing. I’ve never dated long distance, but I was in a long distance marriage for about 2 years. I moved to Ohio for school and he couldn’t leave Memphis at the time so he drove up 1-2/month. It wasn’t as bad as I thought it would be; outside of not seeing each other everyday, nothing about us changed. @Toni – Thanks. “What if” will always be present, but at least you had the chance to be together before parting ways. @Danny – the possibilities are endless. @Serena S. – I hope you like it. I do like to see the stories taking place in different states. Especially does I have not visited. @Marinieves – I’m so glad it worked. Extra cookie points because I’m from Puerto Rico. @Yvonne B – Now that I think about it, most of my friendships are long distance relationships too. @Lee – Lucky. I had to drive a bit over 45 when I was dating my husband. @Tanja – that was a pretty good catch. I guess the new area gave you guys a new perspective. @Susana – I remember those awkward moments. My husband is retired Navy and every time he returned, it was a readjustment. Best of luck for many more years to come. @ButtonsMom2003 – aww! That’s so sweet. @Josie – I’m in the same boat. A long distance marriage instead of long distance dating.